Welcome Guru-listeners. Great to have you onboard for this week! News: For the dinosaur aficionados out there we chat about whether those small arms of T. rex are of any use. A mushroom extract may help save bees. 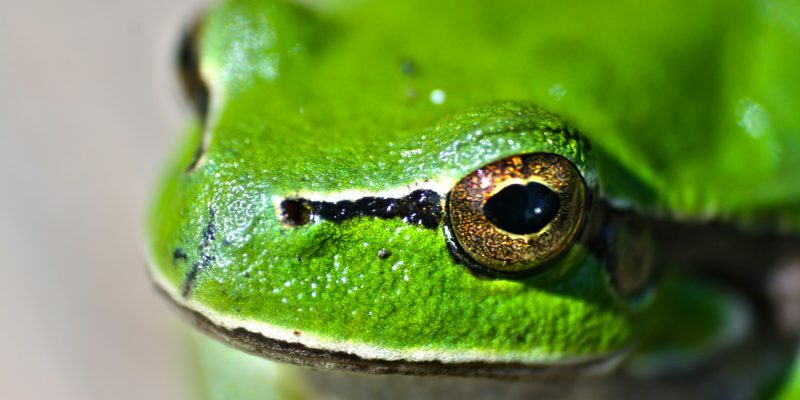 Our final news story is a call to all Australians to get the FrogID app. and participate in FrogID week from 9-18 November. Hop to it! This week’s main topic is amphibian care. Brendan and Mark outline the basics of caring for frogs, including enclosure setup and cleaning, feeding, lighting and heating. Specialised Animal Nutrition. Specialised Animal Nutrition is the Australian distributor of Oxbow Animal Health products. Used and recommended by top exotic animal veterinarians around the globe, the Oxbow range comprises premium life-staged feeds and supportive care products for small herbivores. Chemical Essentials. Cleaning and disinfection products and solutions for a wide variety of industries throughout Australia, as well as specific markets in New Zealand, Singapore and Papua New Guinea. The sole importer of the internationally acclaimed F10SC Disinfectant and its related range of advanced cleaning, personal hygiene and animal skin care products. The FrogID app can be found here.